THE STORY - Long ago, legions of monstrous creatures called Kaiju arose from the sea, bringing with them all-consuming war. To fight the Kaiju, mankind developed giant robots called Jaegers, designed to be piloted by two humans locked together in a neural bridge. However, even the Jaegers are not enough to defeat the Kaiju, and humanity is on the verge of defeat. Mankind's last hope now lies with a washed-up ex-pilot (Charlie Hunnam), an untested trainee (Rinko Kikuchi) and an old, obsolete Jaeger. Guillermo del Toro is known for creating some of the most original and wholesome cinematic worlds to have ever existed. Taking his inspiration from early monster movies from the likes of Boris Karloff and Robert Wiene, he has masterfully crafted several iconic monster characters. While he has usually remained on the more subdued side of things with his films, in 2013 he kicked things right up to eleven with his film "Pacific Rim." del Toro proved that his style translates flawlessly into the large-scale, big-budget Hollywood model. However, the story seemed to slack in some portions, making "Pacific Rim" probably the most poorly paced of any del Toro film. Though once you move over the small story humps, the film is just a hell of a ridiculously good time. 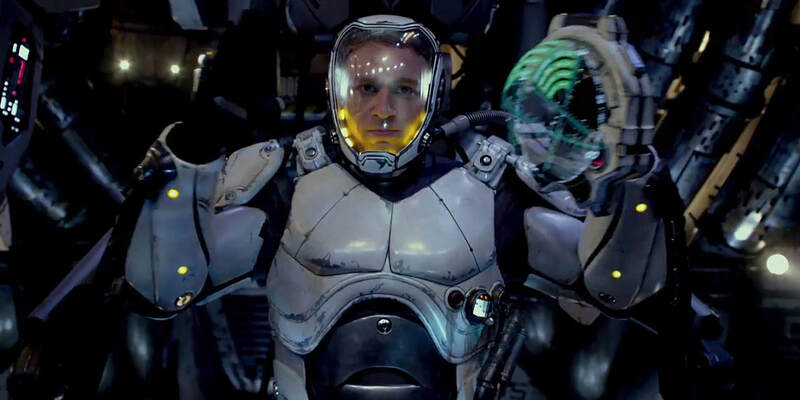 "Pacific Rim" opens with a lengthy monologue discussing the current state of affairs. In the distant future, there are a group of monsters that are born from the core of the Earth known as the Kaiju. These Kaiju rose from the Earth and immediately started wreaking havoc on humanity. The military stepped in and created a way to combat the Kaiju; giant human-operated robots called Jaegers. The Jaegers can only be operated by two human beings who mentally connect through what the film calls a neural bridge. The rise of the Kaiju's from the Earth is terrifying enough but now an even bigger threat is rising. After a scientist named Newton Geiszler (Charlie Day) is able to link his brain with the Kaiju, he discovers that they have a much larger plan in their agenda. They discover the Kaiju follow a specific set of orders so that they can wipe out worlds. With larger and more terrifying Kaiju on their way, the world stands on the brink of the apocalypse. The only thing standing in between total damnation and survival is a washed-up pilot with a painful past named Raleigh Bracket (Charlie Hunnam) and current Jaegar trainee Mako Mori (Rinko Kikuchi). As you can see, the storyline for this project is rather simple and straightforward. There is not much to dissect other than the fact that the world is practically about to end and our heroes must save it. While the story is something we've seen before: monsters are going to destroy the world and a few unlikely heroes have to save it, it is still an effortless film to enjoy. While the enjoyment factor is pleasing, it does not last long in between the battle sequences. The way the story begins is a little sudden and does not come up very natural. Instead of building us up to the apocalypse, Newton Geiszler just discovers that the apocalypse is upon us. There's no momentum and grand pay off for the actual threat. The threat comes upon us so suddenly that we never truly feel the danger and the stakes. It is obvious that the monsters are terrifying and can cause massive damage but the whole "world hanging in the balance" schtick never actually feels real. Although the stakes never seem to escalate for us as an audience, the performances and writing are still pleasing and grounded in the world that del Toro has built. Even though the story is poorly paced, we are never once confused on what is actually happening. The film cohesively weaves its way in and out of heavy expositional sequences and intense moments of action. This is meant to be a big, dumb, fun movie after all aimed at young teenagers who dreamed as little kids of having their action figures fight on this level of scale. This film is heavily reliant on its exposition and while that usually proves to be a bad thing for those with short attention spans, del Toro juxtaposes his moments of sheer exposition with moments where the characters discover things for themselves or even decipher the answers to several pertaining questions within the film. While the story is a little sour, the action is so exciting that it's difficult to take notice of the flaws on a first watch. Not only is the Kaiju and Jaeger design downright immaculate, as with most of the design work in del Toro films, but the way that the two interact with one another is exciting and intense when needed. Not only is the action put on a grand scale but the action choreography is crisp and clear also. The editing isn't done in a manner where we only witness portions of the action like in most modern action blockbusters. Instead of letting the action happen so quickly that our brains can barely register the images being displayed, the film actually slows its action down. We witness a lot of the fight scenes in one unbroken take, which further proves del Toro's confidence as a director. Although there is the typical action film editing in several scenes, del Toro took this opposite more patient approach, thus giving the film twice as much excitement and eyeball-popping wonder in its battle scenes.